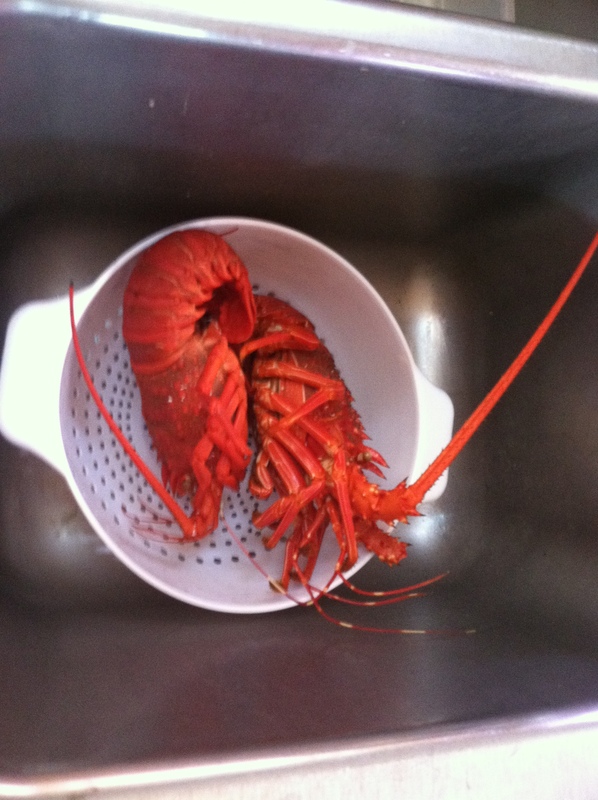 Here are photos of some of the highlights from our recent posts about Ensenada, Bahia Tortugas and Bahia Santa Maria. 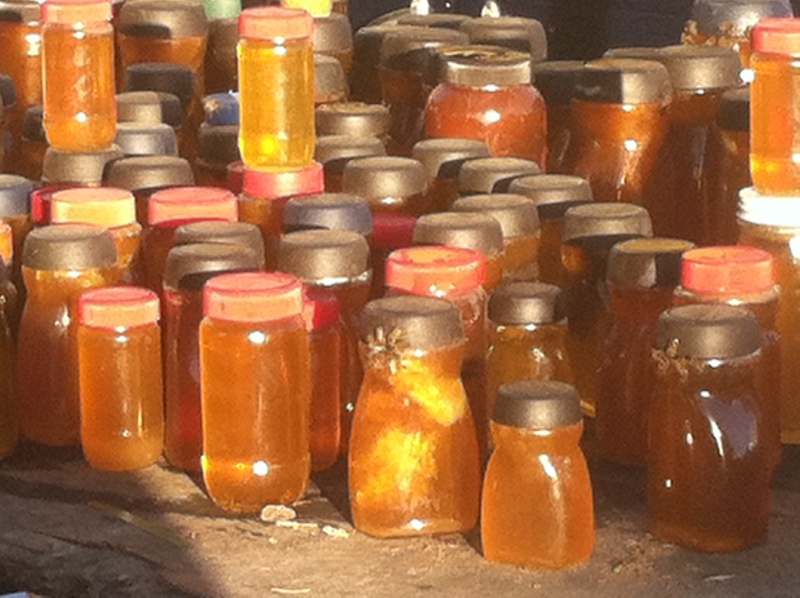 In Ensenada, honey for sale. If you look closely you can see bees trying to get into some of the jars to get their honey back. 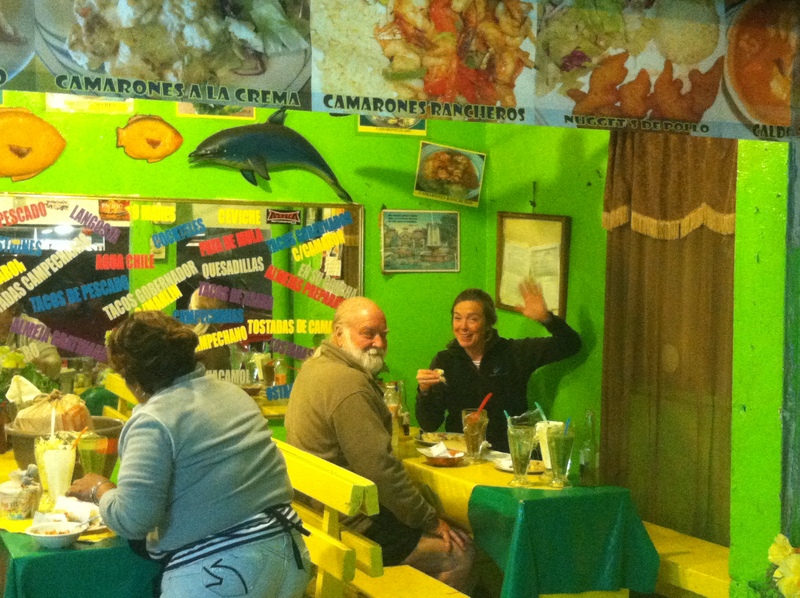 Ensenada, fish tacos and garlic prawns near the fish market with John Bousha, our crew to Ensenada. 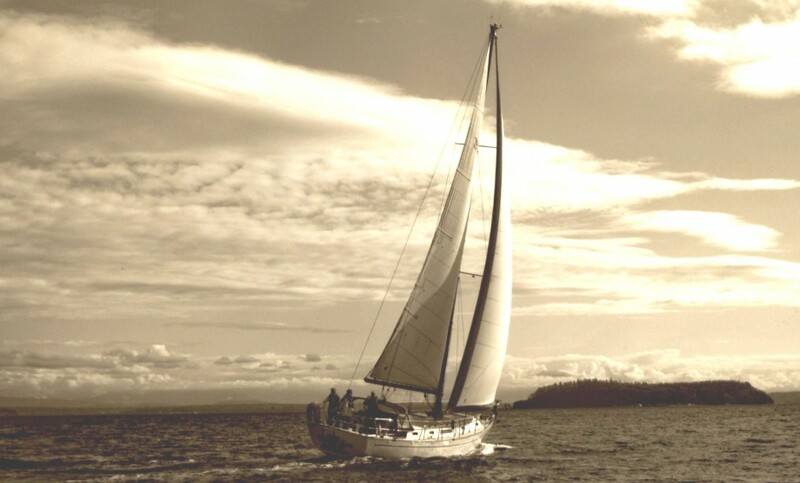 The scene from our anchorage in Bahia Tortugas (Turtle Bay). 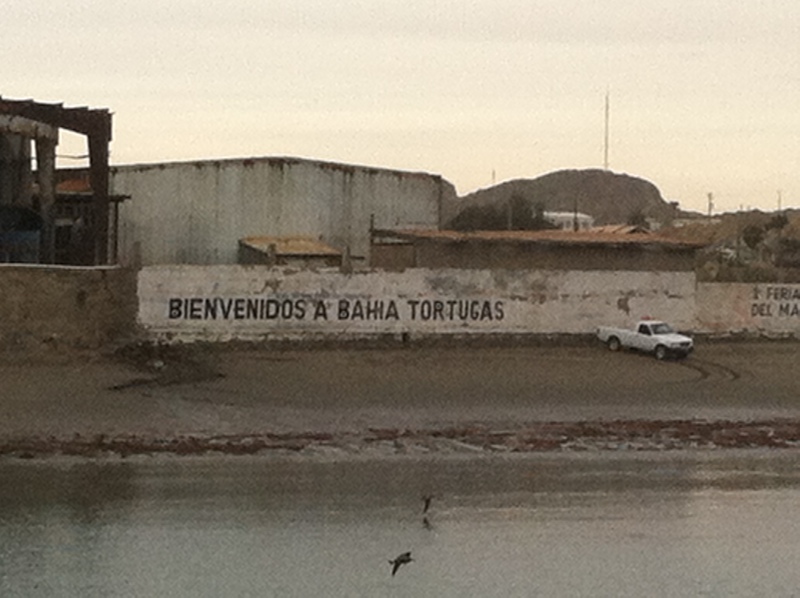 Bahia Tortugas is a fishing village. 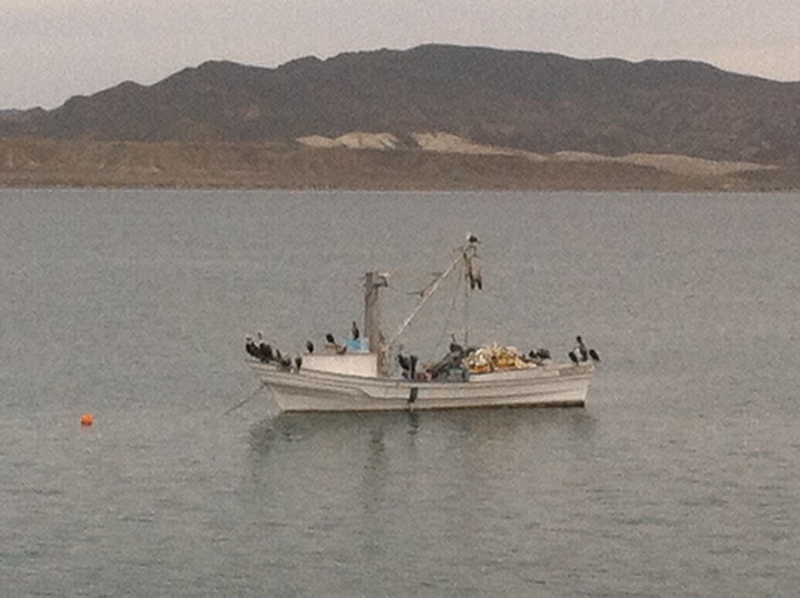 When the humans leave their boats, the real fishers take over. 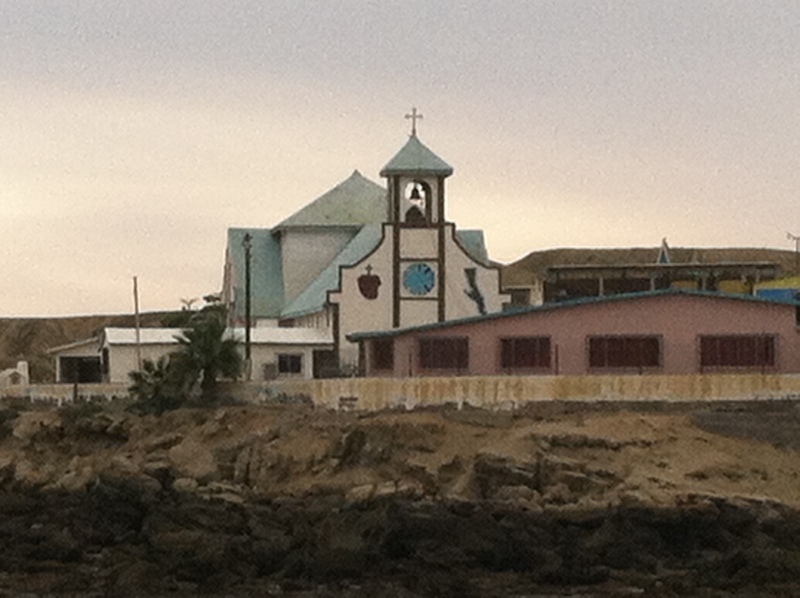 The Turtle Bay church dominates the waterfront.